About Us — The Mysterious Magical Brandishers of Magic! Trained at London’s Central School of Speech and Drama and made a living in the UK’s film, stage and television industries. His passion for collaborative theater led him to co-found two ensemble companies in the UK before being drawn to the unique approach to theatre found only at the Dell’arte International. Having graduated from the MFA program in 2005, James was then invited to become a company member and to teach at the school. 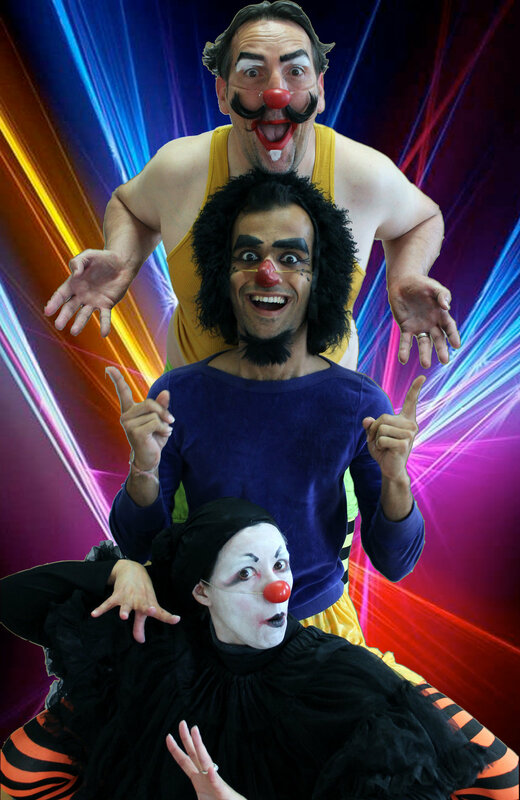 He has been a faculty member for some ten years and teaches Play, the Vocal Body and coaches the core dramatic territories, Clown, Commedia Dell’arte, Melodrama and Tragedy. Over his 30 years in the business he has directed, acted in, written and produced plays in styles that range from Theater of the Oppressed to adapted Classics, from Commedia to Bouffon, from Brecht to Clown. James is a company member of the Dell’Arte International and a founding member of the clown/buffon/farce theater group Monkey Do. He is also a keyboard/accordion player and songwriter in the legendary punk rock, pomp rock, jazz quintet, “Tainted Zucchini”. Originally from Mumbai, India Pratik Motwani is a resident artist, teaching artist and company member with Dell’Arte International in Blue Lake, California. Pratik creates, produces, tours original works of devised physical theatre; Recent works include: #//<EMBEDDED>//# (www.embeddedtheshow.com) - Official Selection for 2018 FURY Factory festival, San Francisco; The Long Way (www.thelongwayshow.com) - Official Selection for off Broadway showcase, 2017 United Solo Festival, NYC; IN'Tents (www.intents.snappages.com) - featured at the Oregon Shakespeare Festival in Ashland, Oregon as a part of the 2014 Green Show, Selected by the US embassy in Cairo to be a part of AFCA's 5th annual Hakawy International Arts Festival for Children in Cairo and Alexandria. Pratik also tours nationally/internationally as lead performer with IMAGO Theatre, Portland, OR in their world renowned physical comedy/mask performance shows FROGZ and Zoo Zoo (http://imagotheatre.com/frogz.html); has performed and taught in countries like Canada, France, Egypt, Jordan, India; has been an invited guest teacher/respondent/judge at Kennedy Center's American College Theatre Festivals; has been a guest teacher at several universities in the US including Pennsylvania State University; University of California in Berkley; Virginia Tech University.